Kiev is the capital of Ukraine, situated in the north of the country, on both banks of the Dnipro River. It is one of the oldest and most beautiful cities in Eastern Europe, founded around the fifth century. Kiev has always been one of the most populous and important cities in Eastern Europe. 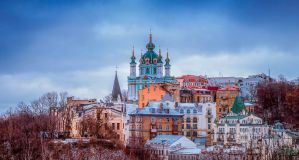 Digging a bit under the surface, you will found Kiev to be a vibrant and bustling city with a unique mix of Western European and Russian culture. Kiev is a great place to broaden your mind and learn about a unique culture. There are a lot of things to discover, and of course the Chernobyl nuclear plant is nearby. On top of this, amazingly underrated Ukraine is a seriously cheap country that won't blow your backpacker budget even if you try. How much do hostels in Kiev cost? 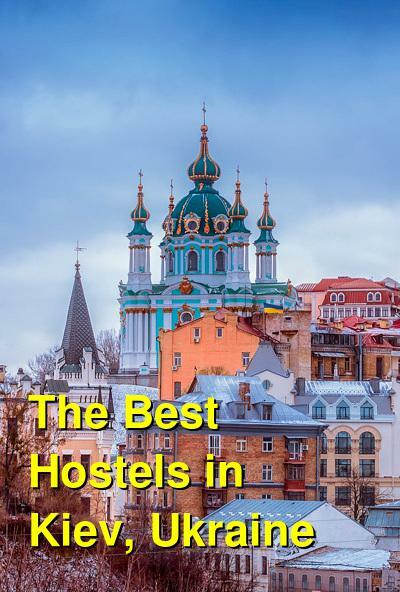 Where are the best hostels in Kiev? Meet friends from all continents and feel like a small part of the world. DREAM House Hostel Kyiv will help you with that. This hostel has a 24 hour reception, and the staff is looking forward to meeting you. They do a great job helping travellers discover Kyiv and its wonderful sightseeing opportunities. Just ask and you will get the right tips and tricks about what you must do in town! Guests can enjoy the on-site bar, working space, lounge area - and don't forget the comfy beds. The hostel offers a fully equipped Guest kitchen for cooking, a high level of safety (entrance to the hostel and room by electronic cards and 24/7 reception), the possibility to obtain cash receipt, a spacious common area for rest and work, high-speed Wi-Fi and working area with laptops, and the possibility to participate in hostel events. Also, for 2 years it has been awarded the best hostel in Ukraine by HostelWorld. It's in a great location in the heart of the old city center. Hostel Factory is located close to the city center, only 15 minutes walking to Sofia Square and 20 minutes to Maidan Nezhalezhnosti. The old part of Kyiv city is situated only 5-10 minutes from the hostel. The doors are opened 24 hours for guests. A lot of hand painted pictures will welcome you at the entrance. A large lounge area is always open for guests who like to meet new friends, play games, and wat?h TV. The hostel has free Wi-Fi, a luggage room, a kitchen with free tea and different facilities, a quiet location, and comfortable mattresses. Travellers can visit famous night clubs, cafes, and restaurants near the hostel. The nearest metro station is Lukianivska. The Zig-Zag Hostel is a 5-minute walk from Lva Tolstogo Square. The hostel offers rooms with air conditioning and a secure safe for your laptop or personal belongings, free Wi-Fi, and a fully equipped common kitchen. The rooms are modern, with bright-colored walls. You can relax in the lounge which has a satellite TV and a DVD player. Also, the hostel offers a library and computers.